Safe water and sanitation are basic human rights! NEDI is a registered nonprofit, non-Governmental Organization based in Kitu Town, Kitui District, Eastern Province in Kenya, East Africa, assisting impoverished water scarce communities to drill wells, construct earth dams, and installing piped water systems for domestic or agricultural use, to increase living standards and empower economic opportunities. The Nyanyaa Earth Dam (15,000m3) reservoir project, with perimeter fencing will provide the community with piped water to multiple outlets for domestic use, and enhanced conservation for planting trees. A dedicated water trough outside the fenced reservoir area will be provided and monitored for livestock watering. This reservoir will dramatically shorten the distance for women and children burdened with fetching water from 3.7 miles (6km), to about 1500 ft (500m), as well as reduce safety issues and virtually eliminate water borne diseases from contaminated water. Nyanyaa Earth Dam is owned, operated and maintained by the communities 1230 residents. The sustainability of the project will be met through income accrued from water sales within the community, with a dedicated account used for payment of caretakers, maintenance and salaries for water kiosk attendance and overall running of the project. Community development skills of all kinds are needed! Thank you to our first corporate sponsor! Please take a moment to watch the Flush For Good Video. Do You wish to become a Sponsor/Supporter? Please support our mission with your donation! Contact us for more details. Thank you to American Standard, our first and Premiere corporate sponsor, for their leadership in spearheading the launch of our global volunteer database. For more than 137 years, American Standard has led the way in developing innovative bath and kitchen products that have set and re-set the standards for living healthy, living responsibly and living beautifully. It is a proud legacy that has made American Standard one of the most trusted brands in the industry. American Standard is dedicated to raising the standard in daily living through life improving performance and responsible innovation for health, safety, comfort and conservation at home, at work and around the world. Uponor’s motto efficiently encompasses the many elements of leadership and global development that are in perfect harmony with Plumbers Without Borders’ purpose and vision. PWB is immensely grateful to Uponor for being the first industry leader to launch our “Champion of Industry” partnership! A global pioneer in intelligent plumbing and climate solutions, Uponor has proudly led the industry forward for a century, while enriching the lives of millions throughout the world. Their trusted products and project-spanning partnerships build strong businesses while moving water where it needs to go, effortlessly and flawlessly. The people of Uponor are a force for progress, making a difference in the defining issues of our time: conserving water and energy, supporting the future of skilled labor, and creating healthier places to live and work. PWB proudly supports and shares Uponor’s passion for progress and their commitment to making meaningful improvements to health and lives daily. With Uponor’s generous support, we look forward to building and delivering on our mission and shared vision. If you're interested in discussing sponsorship opportunities, we'd like to talk to you about how we can work together. Please contact us today. We would also like to thank all our other Sponsors, Donors & Friends. Visit sponsors page. 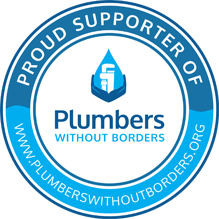 Plumbers Without Borders is a grassroots effort, born from the desire to help people in dire need, where human suffering and disease is caused in part by a lack of safe plumbing and hygienic sanitation. We are a 501 (c) (3) non-profit organization. © 2019 Plumbers Without Borders. Unauthorized reproduction of materials on this website is prohibited. 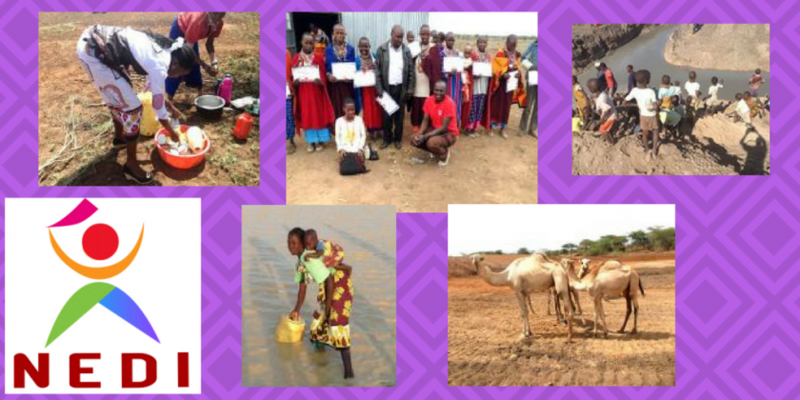 Stay up to date with what we are doing and how you can help us attain our goal to increase access to safe water and sanitation.